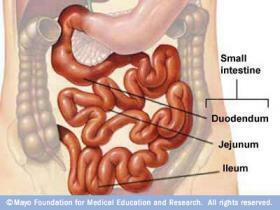 Digestion sounds pretty simple: you eat food, it gets broken down, nutrients are absorbed, and the rest is eliminated. If only it were that simple. Besides the enzymes, juices, and hormones, all of the organs involved in this synchronized orchestration of events, there are the foods themselves. Our modern world provides us with thousands of food choices. Some foods better than others. Some provide energy, nutrition, and the ability to regenerate our cells, others: bloating, gas, acid reflux, heartburn, or fatigue. Without even deciding which foods are 'bad' and which ones are 'good', ask yourself this question: Could certain foods be responsible for other ramifications, actual physical conditions and disease? Taking a closer look at digestion, specifically what happens in the small intestine, is a major decision factor in what you choose to eat. Continual bombardment of foods that irritate the small intestine creates a situation of Intestinal Permeability otherwise known as Leaky Gut Syndrome. Of course each person tolerates food differently, but there are certain scientifically-proven offenders eaten by the majority of the population leading to the most popular conditions our society faces. Gas, IBS, and heartburn are really shots-over-the-bow warning signs that something just isn’t right. The average person consumes 20% of their daily calories from wheat products, additionally sprinkled and supplemented with sugars, legumes, and dairy. The daily punishment inflicted by these foods to the digestive system is reflected toward the entire body and directly associated with conditions like a bloated gut, gas, IBS, acid reflux, arthritis, asthma, acne, osteoporosis, high cholesterol, and to more serious conditions such as Hernias, Colitis, Celiac, Crohn's, Alzheimer’s, Lupus, Diabetes, Pancreatitis, and Thyroiditis. These conditions are no joke, yet many people ignore the small symptoms they experience seeing bread, beans, milk, and soda as harmless until it has progressed so far that serious medications and surgeries are required. Although Antinutrients serve a purpose in nature to protect a plant's seeds, it's reproductive material, from predators like birds and insects, they are not meant to enter the human body. Good for the plant...bad for the eater. The damage they inflict is real and the initial cause of many of the conditions and diseases we now face. As the word implies, Antinutrients are the opposite of pro or positive nutrients. Lectins, Phytates, Protease Inhibitors, and Saponins, are examples of Antinutrients that have the ability to disrupt the natural process of human digestion by creating damage to the delicate lining of the small intestine. Some of this damage is actual perforation of the lining itself, which allows partially digested foods, bacteria, and other unwanted material to pass through the intestinal barrier and enter into circulation. Thus the name ‘Leaky Gut.’ Once inside, these unwanted guests are treated as foreign invaders and greeted by the immune system which mounts an attack. This interaction creates a situation of Systemic Inflammation and the beginning of a host of autoimmune diseases. It's Lectin, WGA, (wheat germ agglutinin), is a potent aggravator of the gut, a common allergen due to its gluten content, the most often consumed food, and the most studied. Wheat, as you probably already know, contains Gluten. Its protein, called Gliadin, activates the release of a gut protein called Zonulin which regulates intestinal permeability. The interaction of the two disassemble junctions in the intestinal barrier allowing the contents to gain entry to the bloodstream. The immune system is then activated triggering an inflammatory process leading to gluten sensitive conditions such as Celiac, Thyroid, Arthritis, and Asthma. Seems simple enough, right? Eliminate wheat-eliminate the problems. Makes you wonder why this isn't your doctor's first course of action? ....rather than medication. Rye and barley also contain gluten, but receive less attention because they are consumed less than wheat. Corn and rice too contain antinutrients, yet aren't less problematic. Beans (read about 'em here), are just as notorious and come with a different set of problems. These foods all contain one, some, or all the Antinutrients such as Lectins, Phytates, Saponins, Isoflavones, Tannins, Protease Inhibitors, and raffinose oligosaccharides.